Musculo-skeletal problems and sports injuries are commonly treated with acupuncture. There are many different methods and styles of acupuncture including traditional and modern applications. Hamish Reid who runs a busy practise in Melbourne says “As a modern day acupuncturist, we have many treatment options open to us. I use a combination of modern and ancient when treating musculo-skeletal problems. A modern approach could involve using Motor Points and electro-acupuncture whereas an ancient technique could involve using the eight extra ordinary vessels“. There is a vast reservoir of knowledge that we can access from over two thousand years of recorded literature from classical Chinese medicine texts. One diagnostic and treatment system has always intrigued many western practitioners of Chinese medicine, which is the use of the eight extra-ordinary vessels. What are the eight extra ordinary vessels? There are the main organ meridians or vessels such as the liver, kidney and lung which connect with their corresponding organ but the eight extra vessels run very deep in deep in the body and contain constitutional reserves of energy known as essence. The foundation of these eight extra ordinary vessels comes from one channel which is called the penetrating vessel, which has its origin in the spinal marrow. Some practitioners postulate that the essence stored in these eight extra ordinary vessels has similarties to the modern view of stem cells, which are also stored in the spine marrow. Using the eight extra-ordinary vessels is a way of harnessing extra strength and energy from the body’s reserves, which can then be used to promote and accelerate recovery in musculo-skeletal disorders. When a practitioner uses exclusively local acupuncture points such as trigger points, the results are usually limited and the patient is missing out on the full potential of healing and recovery. 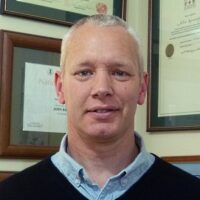 Hamish Reid, who sees many patients with sports injuries says “Every case is different, but I find in many cases of stubborn joint pain that using the eight extra ordinary vessels can give me the edge to have a break through in treatment success”. What is one example of an eight extra vessel? One of the eight extra-ordinary vessels is called the dai mai and is translated as the belt vessel because it runs around the waist like a belt. The pathway then obviously affects the lower back and can be used in back sprain or chronic back problems. There is a classic reference that says “swellings and heat” can be a sign of extra-ordinary vessel disease and this correlates for example to swollen arthritic joints. Hard bony masses such as in osteo-arthritis or bone spurs can also be associated with eight extra ordinary vesel imbalances. I am a practitioner and would like to learn about using the eight extra ordinary vessels in musculo-skeletal disorders. 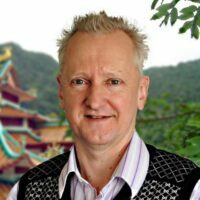 Hamish Reid is a Doctor of Traditional Chinese Medicine and practises as a registered practitioner in Melbourne. He has delivered musculo-skeletal workshops around Australia and will be presenting for the first time in New Zealand in Wellington in November and Christchurch in December 2018. The workshop will cover many different aspects of modern and ancient needle techniques including how to apply the eight extra-ordinary vessels in musckulo-skeletal treatments. Register here.